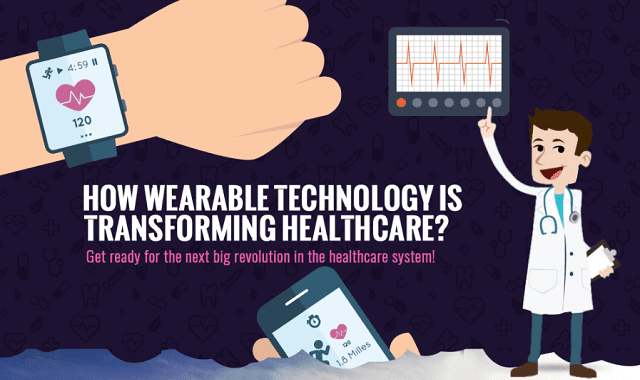 How Wearable Technology is Transforming Healthcare? #Infographic ~ Visualistan '+g+"
Health care providers are using wearable technology to enhance the clinical outcomes of sufferers of chronic diseases and improve clinician/patient engagement processes. With the advent of the Internet of Things (I0T), wearable and connected devices are making it possible for patients and health care providers to leverage the power of technology to get answers to complex medical problems, streamline clinical information systems, and make informed decisions in the provision of health care. Advances in healthcare technologies make it easy to monitor patient vital signs at home making remote patient care more effective. Moreover, smart wearable technologies are making it possible for patients and doctors to diagnose diseases early. Mobile lab devices employ the latest innovative technologies to analyze and send results to patients' mobile apps that are then sent to physicians, enabling the early detection and monitoring of diseases at a fraction of the cost of traditional lab tests. The technology allows doctors and patients to manage their illnesses including how well their treatments are working. Flexible Bioelectronics employs electronics and flexible sensors to measure vital signs in ambulatory settings or ongoing care and make adjustments if necessary. Lastly, they give physicians have access to more data than ever before through wearable tech such as smart watches and glasses that can be used for instant research and diagnostics. Through access to cloud systems, the costs of running systems are reduced through effective integration and management of data.